Claiming that you're buddies with Richard Branson isn't going to get you a free upgrade on a Virgin flight. The cabin crew has heard that one before. In fact, they hear it all the time. Virgin Atlantic surveyed its cabin and ground crews about the most frequent excuses they hear from passengers seeking free upgrades to first class. They said that a fictional friendship with Branson, the billionaire founder of the Virgin Group conglomerate, is a "popular tactic." 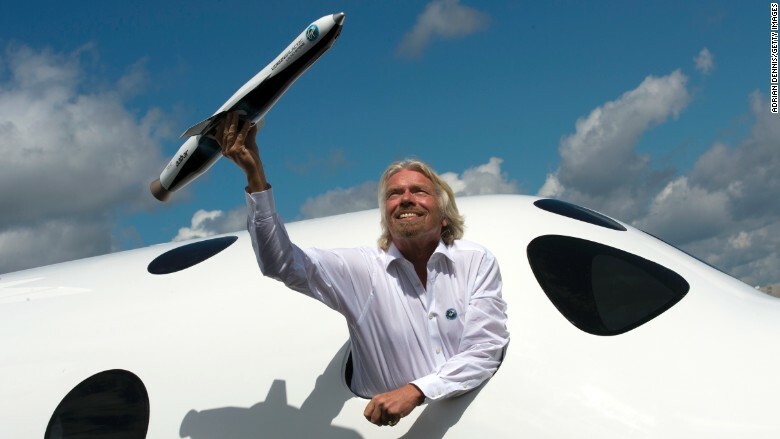 "Sir Richard Branson is my friend and Sir Richard Branson promised me an upgrade were the two most common reasons passengers gave when requesting a complimentary upgrade to upper class suite," said Virgin Atlantic. The other most-overused attempts mention birthdays and honeymoons. Also, tall passengers often plead for the extra leg room they say they need first class. My Baby: "My newborn baby has claustrophobia, she is in counseling and we really need an upgrade so she has more space." I Got Hosed in Vegas: "I have lost all of my money in Vegas but really need an upgrade." My Favorite Team Lost: "Manchester United lost today and I am really upset and need the space to get over it." My Wife is Pregnant: "My wife is pregnant. I need an upgrade as it is a really stressful time for me." So do these excuses work? In a word, no. Virgin said that free upgrades are "rarely offered." And when they do happen, the lucky recipients tend to be loyal customers from the frequent flier program. Nonetheless, the airline is encouraging passengers to post their upgrade pleas on Twitter (TWTR) at #BestRequest. As expected, many of those requests mention honeymoons. But the more creative ones make for some interesting reading. "We'd love to be upgraded," writes one passenger, "to see red unicorns serving unlimited amounts of champagne."